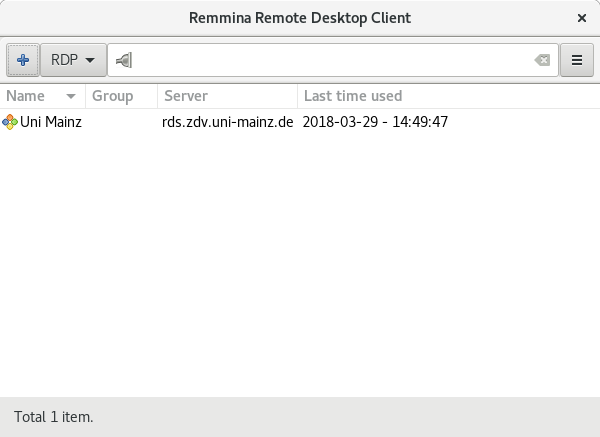 If you connect to a remote desktop, this will use the operating system and software running on a remote computer but will display the graphical output inside a window on your computer. 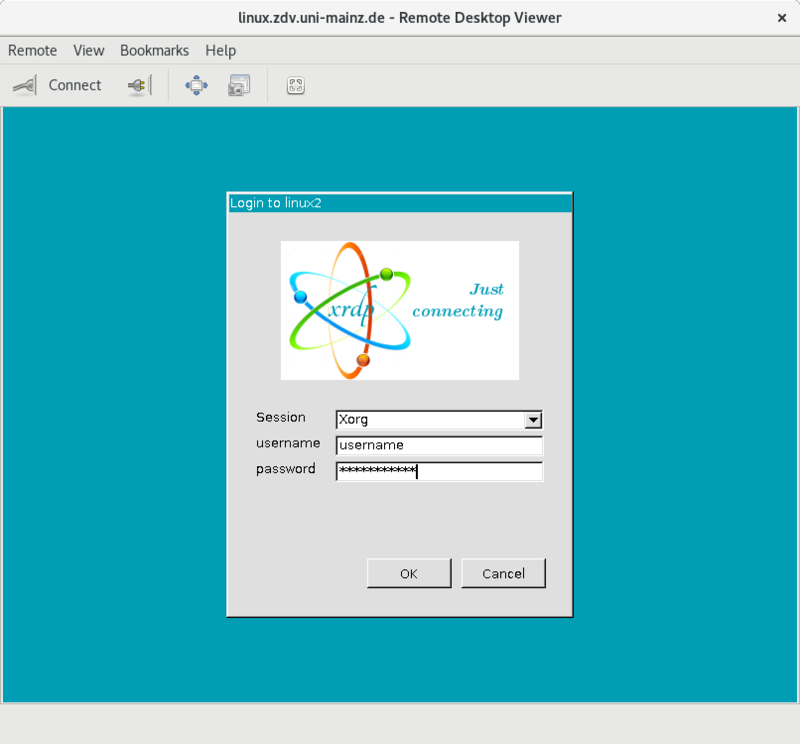 This way you may access your university software and documents from outside of the university via the internet. 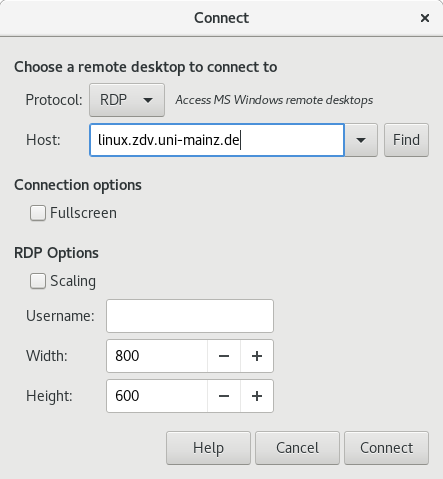 You may use various software to establish a remote desktop connection. 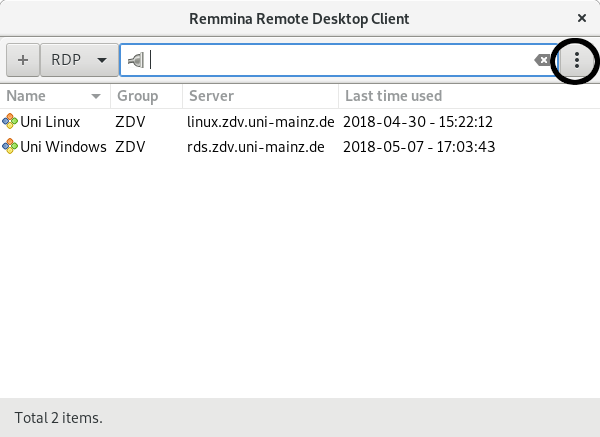 Remmina (recommended) offers more options, but needs to be installed. 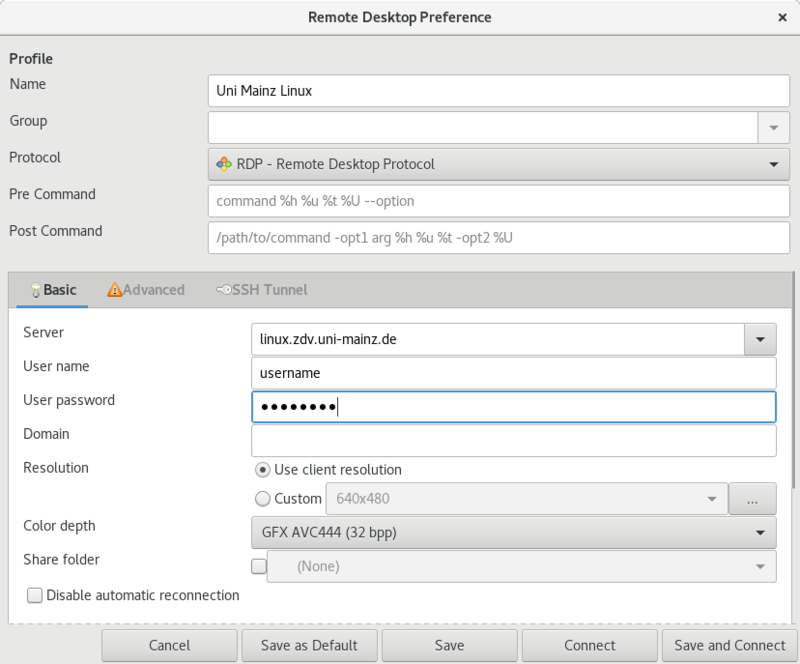 Vinagre comes pre-installed on University Linux machines. To connect, double click the list entry. If the connection is ended abruptly, errors may occur the next time you log in. 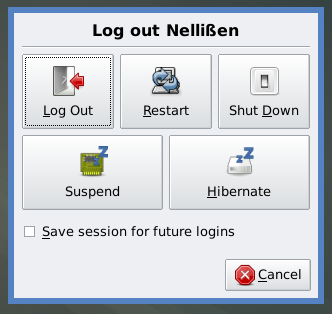 To avoid any issues, log out via the operating system. Do do so, click on Start at the bottom right corner, afterwards on Log off. 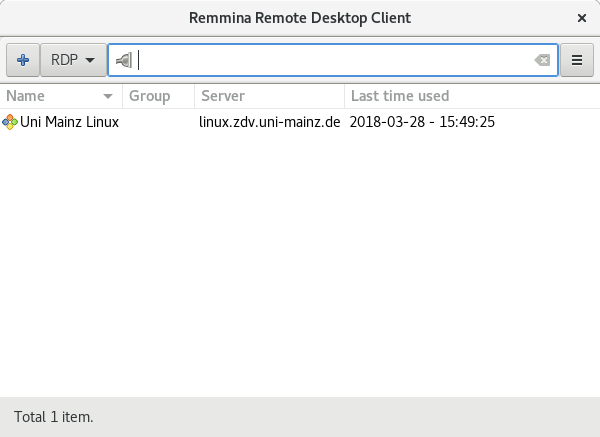 After opening the program click on Connect in the top left corner. 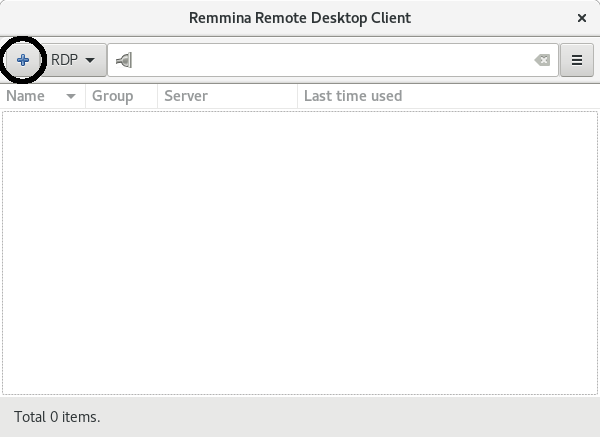 You may want to adjust Width and Hight to change the size of the remote window. After that, click on Connect. 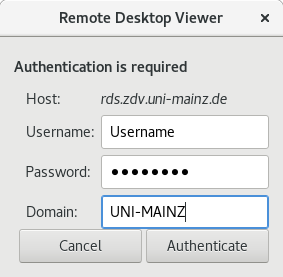 Enter your password and the domain UNI-MAINZ. 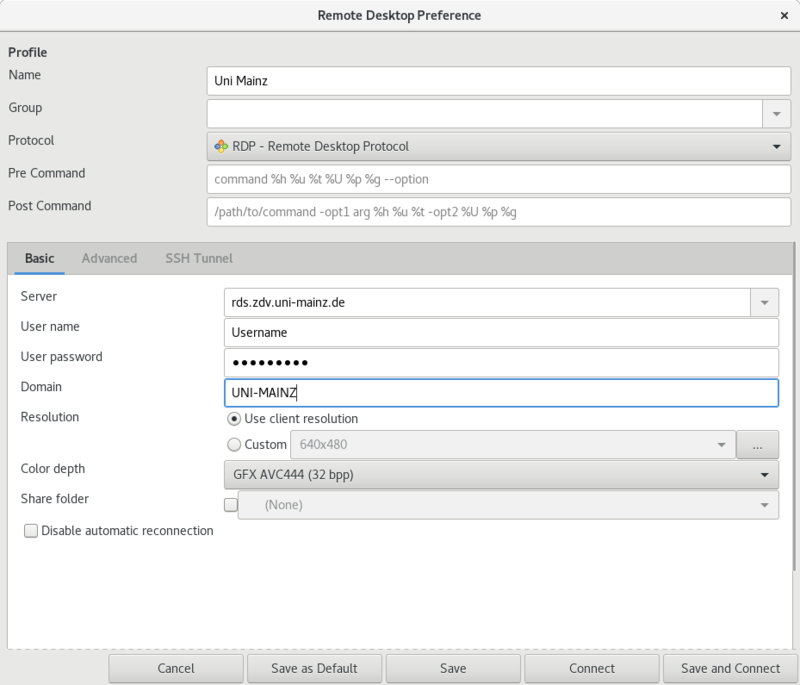 By default the keyboard layout inside the remote is set to english. To change the layout click on the 3 dots at the top right. A new window opens. 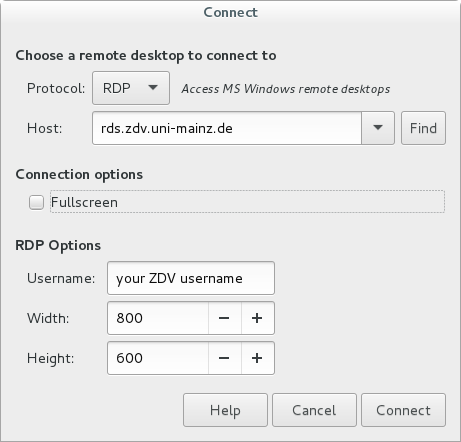 on the top line click on RDP at the right. 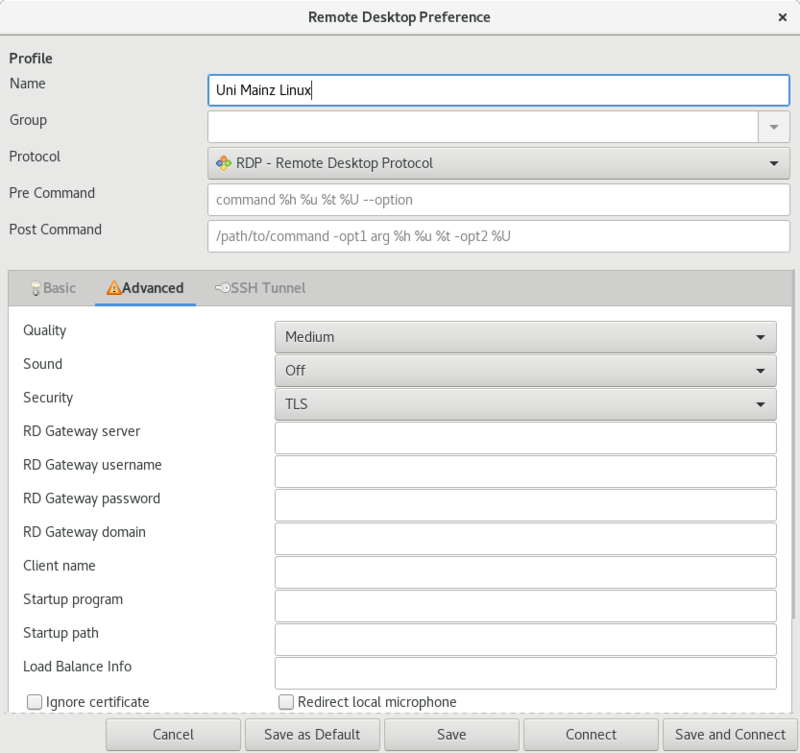 Tick Use client keyboard mapping. 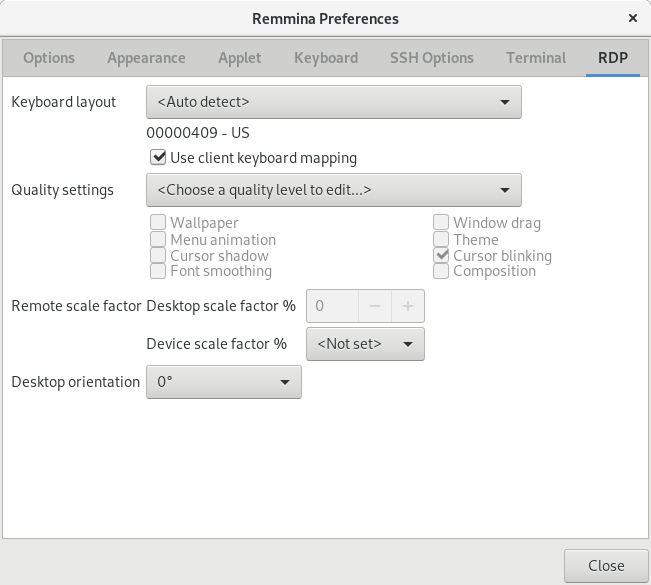 This sets the keyboard layout as the same as on your local machine. To connect, double-click the list entry. At the login screen enter your password. If the connection is ended abruptly errors may occur the next time you log in. To avoid any issues, log out via the operating system. Do do so, click on Applications at the top right corner, afterwards on Log out. Inside the new window click on Log Out. 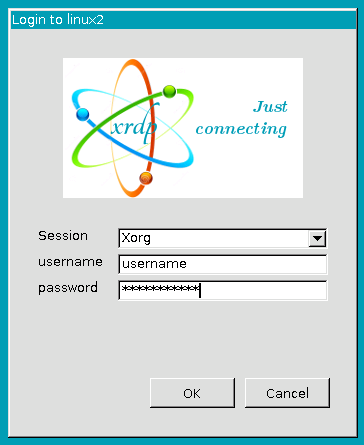 After you are connected, the login window will appear. ⚠️ : Warning! The keyboard layout is set to English.